Read more "Journal Article Discussion: social media ecosystem"
Read more "The History of the Theatrical Impulse; and Human Nature’s innate desire to tell stories"
Read more "Forbidden Broadway: developing a voice to gain followers"
Classical music has a branding problem. For those of us who’ve grown up with Brahms, Bach, Ravel and Strauss, the thought of life without them makes us feel like sad Buster Keaton. How regrettable that millions of millennials weren’t introduced to classical music as a child, whether because of school budget cuts or symphony bankruptcies or any other symptom of the decline of our institutional and cultural appreciation for the arts. American orchestras receive a pittance of federal funding through the National Endowment for the Arts. They’re not publicly funded like the dozens of orchestras of Germany, including the Bamberg Symphony, the Freiburger Barockorchester and the iconic Berlin Philharmonic. In 2013, the Detroit Symphony Orchestra Hall received $50,000 from the NEA out of $25.8 million awarded nationally. That year, the DSO ran a $31 million budget with nearly $3 million in deficits. That NEA grant amounts to just 0.02 percent of their deficit spending. In 2010 and 2011, respectively, the Honolulu Symphony Orchestra and Syracuse Symphony Orchestra both filed for Chapter 7 bankruptcy. Since then, they’ve regrouped and renamed themselves as the Hawaii Symphony Orchestra and Symphoria. But the struggle isn’t over. While the subscription model is in vogue for music streaming services like Pandora and Spotify (which has a truly Byzantine system of artist reimbursement), it just doesn’t jive with current classical audiences, particularly the young. As 20th century subscription supporters of the arts die out, the only hope for sustaining the symphony orchestra is to build a young, loyal and consistent audience. Social media could make it happen. The Uses and Gratifications Theory says that people use and choose media in a variety of ways for a variety of reasons. The job of any organization looking to reach their target audience is to figure out how that audience likes their media. Are they snail mail junkies? Instagram photographers? Digital immigrants who are still figuring out Facebook? Public relations and development specialists ask these questions every day. Orchestras would do well to follow their lead. Let’s take an example from Syracuse. Symphoria is almost 2 years old. In order to avoid a double feature of the 2011 fiasco, they need to harness every tool in their arsenal. A starting goal would be to increase regular attendance among millennials. This is where social media comes in, and these are the two steps I would take. Symphoria is on Twitter, but they’ve got one foot in the stirrups and the other on the ground. As of today (Oct. 17), they’ve posted only one original tweet and two retweets since Oct. 9. That’s okay for a Luddite dabbler who occasionally shares a cosmic cat photo or a trendy #FeelTheBern. Symphoria needs a designated social media monitor, someone to regularly create new content, interact with followers and consistently—as well as correctly—utilize hashtags, memes, trending topics and other such interweb features. They can take their cues from Classic FM, whose Twitter presence is active, to say the least. In the last 16 hours, they’ve shared 11 original tweets and three retweets, with information about programs, audience-oriented articles and the musician-humor that rarely comes through to general audiences. On Nov. 1, the great Itzhak Perlman is playing with Symphoria. This is a big deal. Why is there only one tweet about him? Also, why are they not promoting their Perlman Pumpkin photo contest? Come on, guys—that’d make a great hashtag. Live-streaming is it right now. We want to experience things together at the same time across the world or down the street. We want a sneak peek into a moment. Arts organizations, including Symphoria, would do well to embrace the reality that millennial audiences want to be behind-the-scenes. Seattle Opera is doing a fantastic job with this. For the last several years, using grant money from the Wallace Foundation, the opera company has strategically and intentionally tested new forms of audience building, including social media. Their original content is killer. Take a look at this backstage peek into the costume design of their current production of Georges Bizet’s The Pearl Fishers. 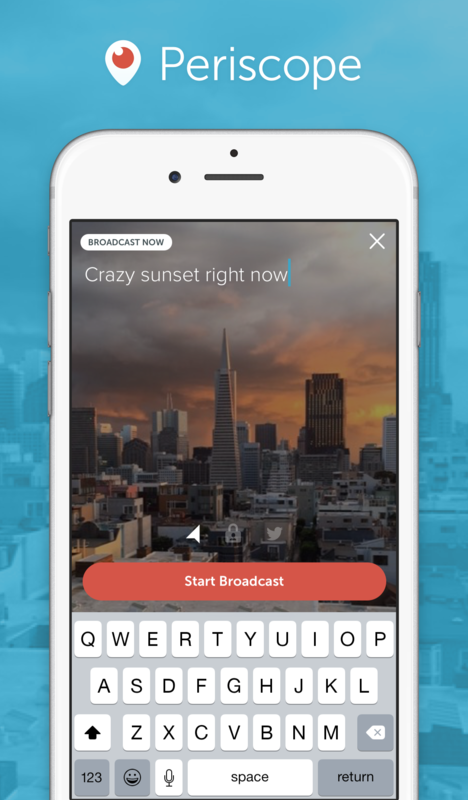 That’s not Periscope, but it’s the essence of what viewers are looking for. With periscope, a Symphoria social media manager could live-stream rehearsal segments, conversations or Q&A with orchestra members and special guests or mini live-tours of the Crouse-Hinds Theatre. Classical music orgs aren’t used to sharing the inner workings of their practice, but if they want to connect with the audience that will pay their bills (and possibly change the world after being inspired by Mahler’s Symphony No. 2), they’ll have to get over that. Wouldn’t it be fun for the young, classical music audience in Syracuse to see a 30-second Periscope conversation with Itzhak? I think so. Read more "Uses and Grats for Classical Music"
Read more "Domestic Abuse & Hashtag Activism: #WhyIStayed"
Read more "Thematic Beauty to Encourage an Audience"
Read more "Why the Storyteller Matters More Than the Story"
Fergie was wrong. Big girls DO cry. Read more "Fergie was wrong. Big girls DO cry." Read more "The essential components to a compelling story"
Read more "Sports Journalism and the Hero’s Journey"